The neuropeptide oxytocin (OXT) has emerged as a potential therapeutic intervention in the treatment of both alcohol use disorder (AUD) and stress-related psychiatric illnesses. The present study evaluates the effects of systemically administered (intraperitoneal (i.p.)) OXT treatment on alcohol relapse-like behavior in male and female mice. Adult male and female C57BL/6J mice were trained to lever respond in operant conditioning chambers for alcohol in daily self-administration sessions. Once lever responding and alcohol intake stabilized, mice were tested under extinction conditions for 14 days before reinstatement testing. All mice underwent stress-induced reinstatement testing using either predator odor (2,3,5-trimethyl-3-thiazoline (TMT)) or the α-2 adrenergic receptor agonist yohimbine. In study 1, mice were exposed to TMT for 15 min and then immediately placed into operant conditioning chambers to examine alcohol-seeking behavior under extinction conditions. At 30 min prior to test session, separate groups of mice were injected with vehicle or OXT (0.1, 0.5, 1 mg/kg). In study 2, mice were injected with yohimbine (0.3, 0.625 mg/kg) 1 h prior to reinstatement testing. At 30 min post-yohimbine injection, mice are injected (i.p.) with vehicle or OXT (1 mg/kg). OXT attenuated alcohol-seeking behavior in a dose-related manner in male and female mice in response to acute challenge with a predator odor. Additionally, OXT administration produced a similar decrease in alcohol relapse-like behavior triggered by the pharmacological stressor yohimbine in both sexes. 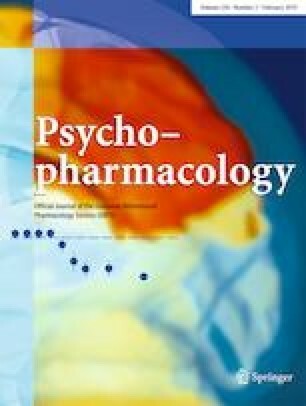 Systemic oxytocin administration attenuates stress-induced reinstatement of alcohol seeking in male and female mice. This study was supported by grants from the National Institute on Alcohol Abuse and Alcoholism (U01 AA014095, U24 AA020929, P50 AA0107061, F31 AA026483) and VA Medical Research (I01BX000813). All experimental protocols were approved by the Medical University of South Carolina Institutional Animal Care and Use Committee and consistent with guidelines of the NIH Guide for the Care and Use of Laboratory Animals. The authors declare that they do not have conflicts of interest.